Are you an earth-friendly and green-loving person?! Well, if you answer is yes, these products fit you! 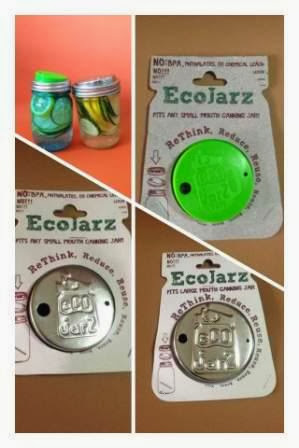 Eco-friendly jars called EcoJarz were now available for sale! Made with the earth-friendly products, EcoJarz lids in stainless steel and silicone– BPA free, Phthalates free! For regular and wide mouth jars. Colors were even relaxing to the eyes as it gives a reflection of the natures. For more details or if you want to know more about the products or order online, you may visit the products' official site at http://greenselections.wordpress.com.